Have you ever read a book and thought, wow, thats me to a tee. This author knows everything about me, my wants and needs and how I operate. How I'm feeling, how to make me feel better, if Im hungry or tired (do you know where I'm going with this? ), or if I have a tummy ache, or just need a cuddle from my Mum? So why did I ever think that a book or multiple books were going to be able to tell me these things about my baby? Who is also an individual with personality and feelings. I'm not an expert, I'm just a Mum and a pretty new one at that. I'm not claiming to have all the answers, all I know is what I've experienced. I'm a Mum that ditched the baby books and I try just to go with my God given instincts as a Mother. Most days are good, some days are cry, scream, pull my hair out days, but that comes with the territory I suppose. 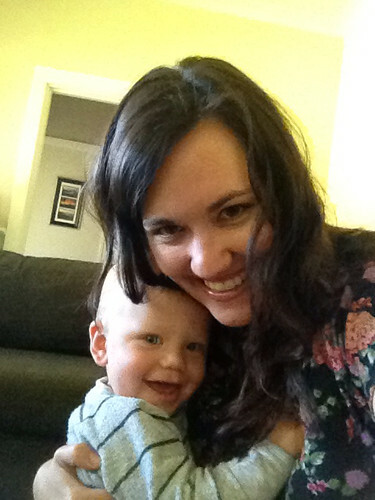 I followed a 'eat,play,sleep' routine from a few weeks in, it wasn't based on times, just the main goal was trying not to feed my baby to sleep, although of course sometimes I broke that rule too. Although I wanted to help him learn to fall asleep on his own, which any parent knows is one of the hardest tasks of all. I thought as a new Mum I was supposed to have a 'schedule' based on the time on a clock. I learnt very quickly, that this didn't work for us, it was too stressful, so I ditched it, and went with the flow. The only thing that remained the same on a daily basis was the bedtime routine, and that didnt always go to plan (still doesn't always). By seven months a more regular eating and napping routine emerged organically, meaning, I just tried to follow my baby's cues as much as I could. When he started eating regular solids I started feeding him around the same time everyday, and now at nine months it is fairly predictable. But, what I have learnt is that things change rapidly, a month ago he was napping 3 times a day for about 45mins to an hour each, now he does two naps of about 1 hour 45 mins each. How could I predict that, or schedule it out. He seems to change every week. I've read books that say 'wake the baby at 7am each morning' pfffft my baby rarely will sleep until 7, he wakes sometime between 5am and 6.30am. if by some miracle he slept past 7, there is no way in hell that I am forfeiting a sleep in. Funnily I wrote this last night, and he slept past 7 this morning. I figure if he's asleep, he needs the rest. I go by the old saying, never wake a sleeping baby. It has to be around for a reason right? So what's the point of this post? I'm asking myself the same thing right now. It hasn't been easy, I'm pretty sure it was never supposed to be. Many days, especially the early ones have been soooo difficult. Sometimes it's easy to read all the books and then feel guilty and frustrated because it's not working the way they promised. Some families thrive on schedules, some don't, I didn't. As I'm sure you've figured out by now and this isn't a shocking new discovery: We're all different. My point I guess is that by being true to myself, and listening to my Mummy instincts and trying not to get hung up on the masses of information out there has helped me in my journey as a Mum. Instead I try just get hung up on that little person who I am so blessed to have in my care. It works for us. I think this is what my Mum was trying to tell me from day one, but she didn't want to impose and tell me what to do. 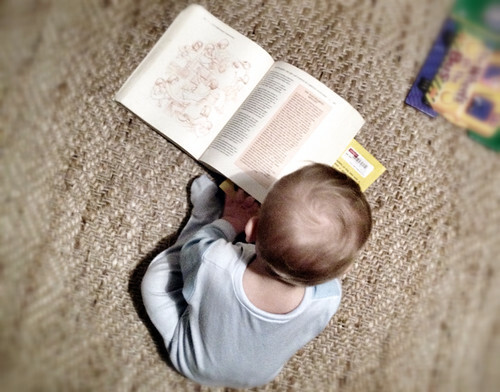 7 comments on "Why I ditched the Baby Books"
My sentiments exactly! I read several books in the first few months, but then I started to realize that it's "okay" if we don't fit into the mold that the books are suggesting - she is her own person! Thanks Sarah!! I'm glad you liked it! Always nice to know other people are on the same journey as you!! I believe in reading some advice as don't know everything but I tailor it to fit our family. I think routine is important. My boys are 3,2 & 1 and they all slept from 7:30-8am from about age 6 months (Not easy as you can't be one of those people that can't stand to hear their baby cry. Babies can cry even when they don't need anything but trust me, 3 days and it's sorted! )Bar my 3yr old, the other two still have a 2-3 hour nap everyday at different times (it gives me a break!). I guess what I'm saying is that for me what works is what doesn't make me feel overwhelmed, exhausted & like the children are taking over my life. If I am healthy and happy, they will be healthy and happy. I think you adapt what works all the time because growing children are always changing but the basic principals stay the same for eating, sleeping and play. Children are smart and adaptable and like anything, results worth having may take time. No one's ideal situation is the same but I still think looking up different ideas from different sources gives me more options to try solutions I may not have thought of myself. I won't be told what to do but I do appreciate a bit of advice, even after 3! get outta my head girl :) just started reading a wonderful book called "spirit led parenting" - about EXACTLY what you just wrote about :) i couldn't handle anymore mommy guilt b/c my girl didn't fit what the books said. I bought Save our sleep in a moment of desperation when G was a few months old and I was at the end of my tether. I lasted about an hour... and then fed her to sleep. I think these books do work for some, but like you I decided it was better for me to go with the flow.